It is not often that this site actively promotes A Current Affair but will make an exception for this coming Monday’s edition as host Tracy Grimshaw interviews legendary television producer Reg Grundy (pictured) and wife, actress and author Joy Chambers at their home in Bermuda. Grundy first appeared on TV in 1959 as the host and producer of an afternoon game show, Wheel Of Fortune, which had made the move from radio to Sydney’s TCN9. He then went on to produce more game shows during the 1960s before branching out into TV dramas and movies in the 1970s. The list of Grundy productions read like a timeline in the history of Australian television, including Ampol Stamp Quiz, I’ve Got A Secret (where he met his future wife), Temptation, Moneymakers, Class Of ‘74, Pot Of Gold, Family Feud, Blankety Blanks, The Celebrity Game, The Young Doctors, Chopper Squad, The Restless Years, Sale Of The Century, Prisoner, Sons And Daughters, Perfect Match, It’s A Knockout, Neighbours, Secret Valley, Wheel Of Fortune, Australia’s Most Wanted, Richmond Hill, Embassy and The Price Is Right. Wife Chambers, a winner of two TV Week Logie awards for most popular female personality in Queensland in the late 1960s before becoming Mrs Grundy, went on to appear in a number of Grundy productions including The Restless Years, The Celebrity Game and Neighbours (most recently appearing in the lead-up to the show’s celebrated 6000th episode). She is also an accomplished author in her own right. 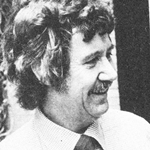 As well as many Grundy dramas selling internationally – most notably Prisoner (pictured), The Young Doctors, Neighbours and Sons And Daughters – he also successfully franchised various game show and drama formats overseas, producing international versions of Sale Of The Century, Prisoner and The Restless Years. He also produced a game show, Scrabble, for US network NBC. He sold Grundy Television Productions to UK-based Pearson International in the mid-1990s – it has since been incorporated into the global Fremantle Media group. 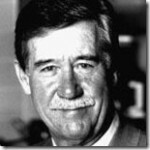 Grundy was inducted into the TV Week Logie Awards’ Hall of Fame in 1993 and received Queen’s Birthday Honours in 2008. Despite his many years in television, Grundy has remained a very private figure and has very rarely allowed to be interviewed and the appearance on A Current Affair came as the expense of Sunday Night and 60 Minutes which had both also tried to secure an interview. The interview is said to coincide with the release of his autobiography. Source: The Daily Telegraph (via The Spy Report), Sydney Morning Herald. * Melbourne. Other areas, check local guides.